I have a confession to make. When my lecturer suggested that I complete my four-week placement at the National Museums Scotland libraries, I reacted with some surprise. Despite making many childhood visits to the museum on Chambers Street, I was unaware that there was a library. However, after spending a month-long placement there, I discovered that there most definitely is a museum library and it is fascinating. Research Library at the National Museum of Scotland. Not only does the library have information on almost anything you can think of (go to the online catalogue for more details), the staff are friendly and willing to help with any enquiry. While I was there, I even saw them spend weeks searching through the archives and special collections to help with some requests! 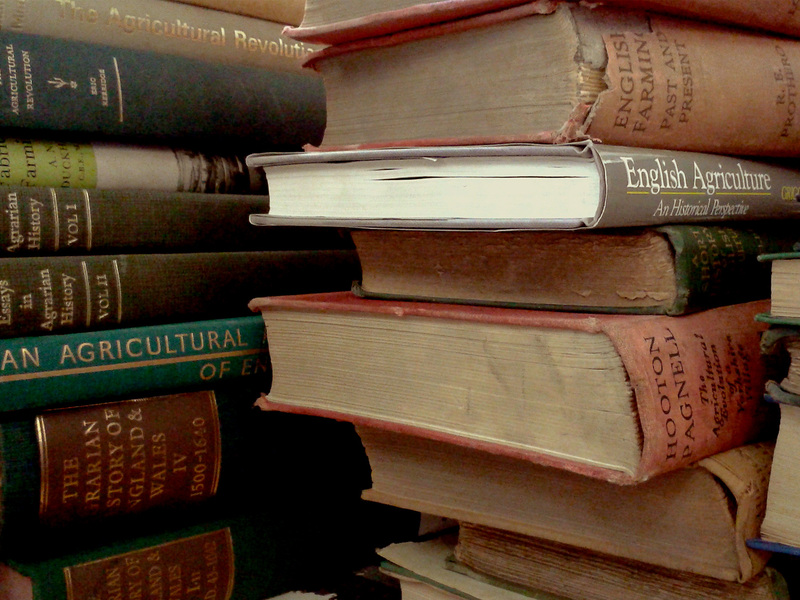 Some of the farming books I was working on during the internship. The library staff were very helpful and provided me with some excellent opportunities to improve my skills and learn more about librarianship. 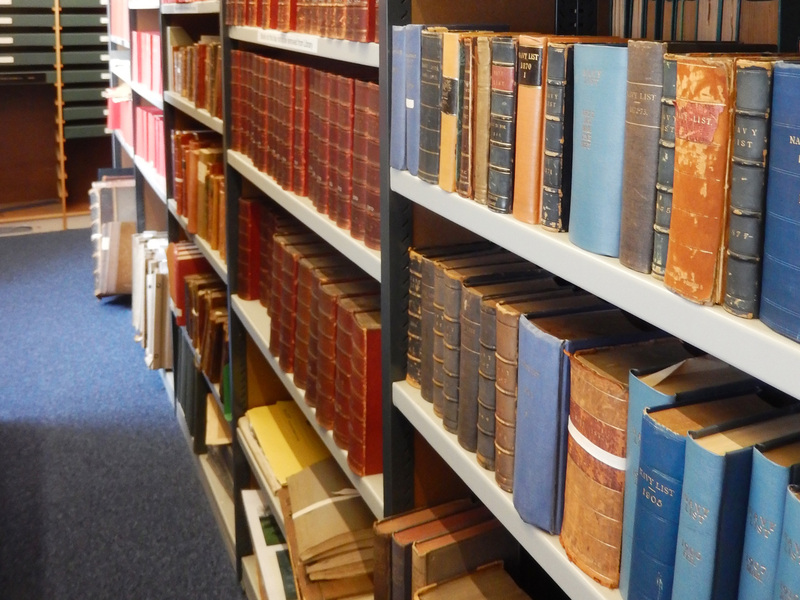 Some of the duties during my placement included checking catalogue entries, reclassifying books on farming to the Dewey Decimal System and creating listing of underwear adverts held in the special collections as part of the Jenner’s archive. 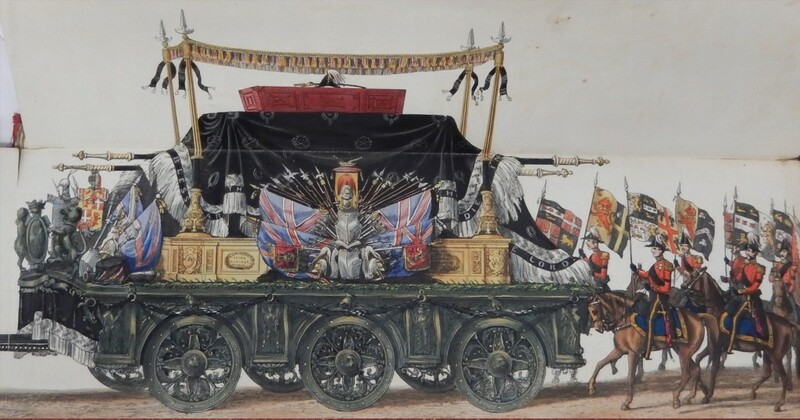 During my placement I was able to work with the special collection at the National War Museum at Edinburgh Castle. I really enjoyed seeing all the beautiful old books and finding out more about the library’s unique collection. 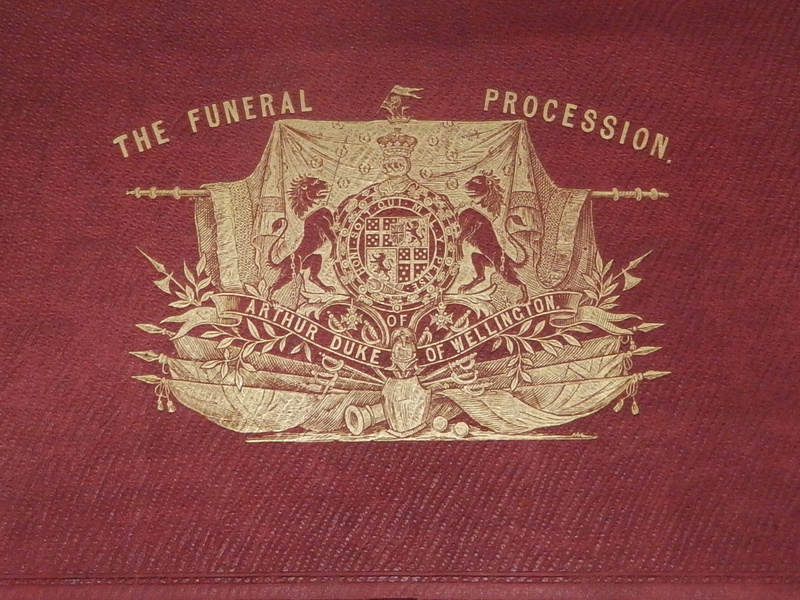 Section of Funeral Procession of Arthur Duke of Wellington, held at National War Museum Library. Dear Annie – I am pea-green with envy! What a fabulous internship. 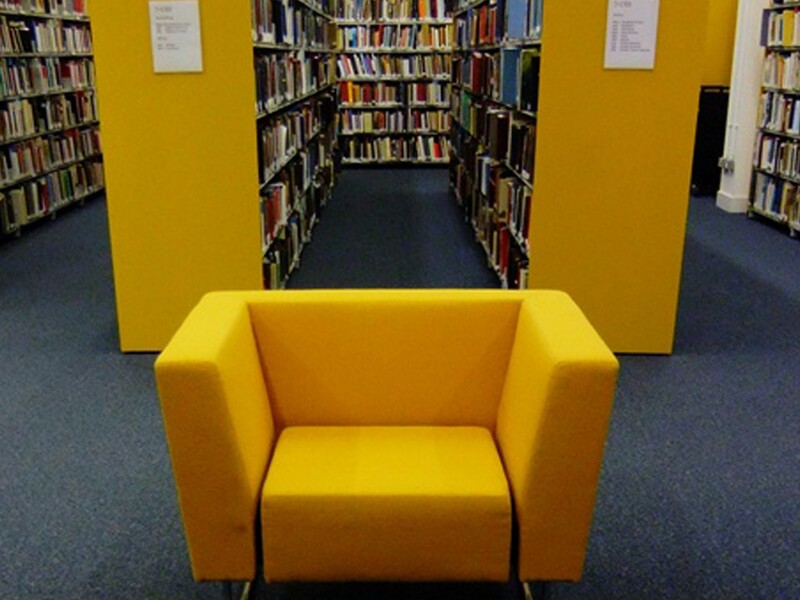 You have given us a great insight into the treasures this library holds. I found this post through GeniAus’ Gems and if I am ever lucky enough to visit Scotland again I will try to remember to check out this library. I always loved having lunch at Jenners and hearing the 1 o’clock gun. I’d love to see some of those ads – they must have been a giggle. Hi, Can you find me anything in your library on Bessie or Bridget Cannon Born Aug 21 1891..she lived in Goven, Scotland before she departed for Canada. Her dad’s name was William Daniel Cannon and her mother’s name was Annie Cannon her maiden name was Laughlin. I’d appriciate anything you can find on these people as my mom is gone and I have no one to ask.